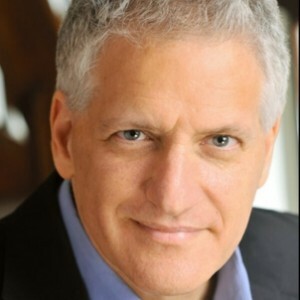 Marc Aronson—warm, deeply intelligent, with a glint in his eye reflecting an educator’s impulse to inspire–is the son of Boris Aronson, the multiple-Tony-winning stage and costume designer. Boris Aronson’s innovative set designs were in high demand for leading mid-twentieth century Broadway productions—including the original production of Fiddler on the Roof with Zero Mostel. But arguably, the Russian-born Aronson’s most richly textured, personal, and daringly avant-garde work was done for the thriving Yiddish theater of New York City in the 1920s. This work is the subject of the gallery show Preparing the Miracle: From the Bronx to Broadway, Boris Aronson and the Yiddish Theatre, at Vallois America at 27 East 67th Street in New York (featured in PlaysToSee.com), running through December 23, 2015, and will be part of an exhibit about the Yiddish theater opening in March at the Museum of the City of New York. Boris’s son Marc lives an easy drive away from Broadway in leafy Maplewood, New Jersey. He earned his doctorate at NYU in American Cultural History and went on to write award-winning nonfiction books for young readers, beginning with Art Attack: A Short Cultural History of the Avant-Garde which was, in many respects, based on conversations he had with his father when he was a teenager. Marc now teaches in the School of Communication and Information at Rutgers University and continues to write for younger readers. His next book is his second collaboration with his wife, the author Marina Budhos, The Eyes of the World, a joint photobiography of Robert Capa and Gerda Taro. I caught up with him for a chat the day after the gallery opening at Vallois America. PM: There are two particularly strong influences I see in your father’s work—synthetic cubism and Marc Chagall. I understand the Chagall factor is very real and ultimately personal to you. Is that correct? MA: Well, my father was born in Russia in 1898 and was definitely part of that whole early twentieth century ferment in Europe including Constructivism and Suprematism, which you see in the use of geometric shapes and very hard edges. Although the major distinction people have observed especially about his earlier work is his extensive use of texture. But as far as his connection with Chagall, he left Russia and went to Vienna, which was at that time a cultural center for artists and critics. So he knew Chagall, and while he was in Vienna, he wrote books about what was happening in art. One of his books was about Chagall, and it was published in a number of languages. Today it’s a rare book, but it was very influential at the time. Anyway, the proceeds from that book paid his way to come to New York. So when I was born here in the United States, I was named Marc—with a “c”—for Marc Chagall—which is why we’re always insistent about the spelling. PM: So when people see Chagall’s work and think it reminds them of Fiddler on the Roof, the influence really runs the other way. MA: Well that’s kind of a funny subject. Because Chagall was approached to do the sets for Fiddler and turned it down. So I think they wanted my father to do something in that vein, which was right for the show. But he also would bring his own personal stamp to it, which he did. PM: What kind of person was Boris? What was it like growing up with him? MA: He was a big, expressive personality, always holding forth about the theater which was really like a religion to him. Some would say he was a difficult person, very passionate in his opinions. But I think it was recognized that that passion was reflected in his artistry. He and my mother were always involved in one show or another. In those days, they would typically do one Broadway show a year. And what you see here is really the rough drafts. The next step would be creating models. PM: To show to the backers? MA: Backers, directors, all of that. But it was a very exacting process because you had to fit whatever design concept you came up with to the actual dimensions of the particular theater, to make sure it worked. So a lot of what I remember was all the work going on building these elaborate models. That was the family business! You’ll see some of those models in the exhibit coming up at the Museum of the City of New York on the Yiddish Theatre. PM: What were the tenets of this ‘theater as religion’ of Boris? What did he feel theater was supposed to do? MA: Well, different things, depending on the show. It could inspire or move you. But he liked talking about whatever that show was and how to make it as great as it could possibly be. So we always had a lot of people around at our home who either worked in the theater or also enjoyed talking about it. PM: When did you first realize that what your father did for a living was not like what other kids’ fathers did for a living? MA: I actually went to a very progressive, arts-oriented school on the Upper West Side. So it wasn’t the majority certainly but there were a lot of kids whose families were involved in the arts in some way or in the theater specifically. Maybe something like five percent directly involved in the theater, so it was a presence and certainly not a rare or unusual thing. PM: And where was your mother in all this? MA: She was right there. She was generally credited as his assistant in the programs, not as a co-creator. But she was intimately involved with the whole process. PM: Do you feel that any part of what you do today is a legacy from Boris? MA: As an educator, I suppose I like to hold forth a bit, too. And as a writer, I’m passionate about my artistry, too. PM: And is there some legacy from Boris in your sons? MA: One likes to act, so there’s a connection to theater. And they certainly know his work, and I think they both like it. So we’ll see!